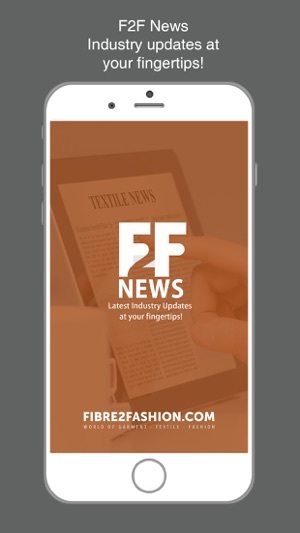 Fibre2Fashion NEWS app is a knowledge based mobile application that generates informative updates on global happenings, industry movements, latest trends, and upcoming technologies in garment-textile-fashion industry with just a swipe. 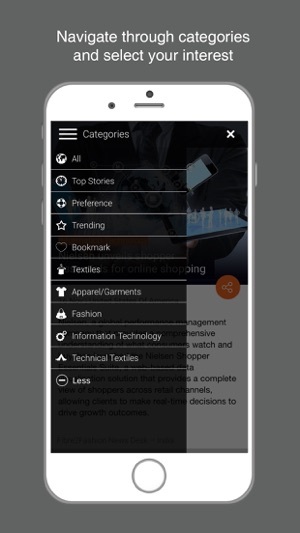 The app offers daily news and insights in the textile-apparel-fashion & retail sector. It is easy, quick and convenient as you can access it anytime from anywhere and get vital information of the textile value chain. 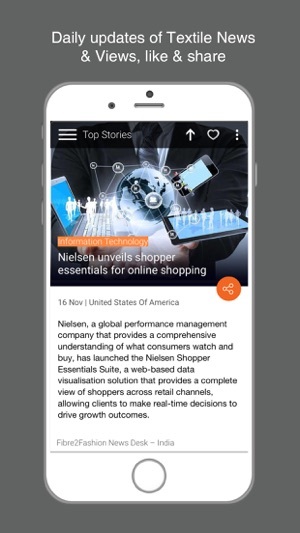 This app holds exclusive features like preference through which you can read news of your interest and share; it is quick you can easily switch to new headlines and grab more information. •Categories: Fashion, Textile, Garment, Technical Textile, Textile Technology and more. 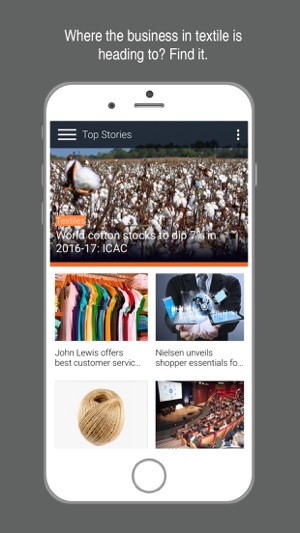 •Read the News in a short and crisp format and stay updated with the latest News quickly, on the go! •Share News over SMS, Whatsapp, Email, Facebook or other sharing & networking apps. •Did a story catch your interest? Now bookmark the News stories via the bookmark feature and read it later at your convenience. •Don’t stress your eyes anymore! Use night mode built in the app to have a pleasant reading experience even in poor lighting conditions. - Performance optimization & bug fixes. Very easy to use and has a fantastic UI. The stories seem a bit short, but still give all the information needed. Very informative stories. Really like the way it is set up and structured as someone who is into this subject. To a different level !! Super app keeps me updated 24/7 !! © San Blue Enterprises Pvt. Ltd.